The roots of diet myths about gout run deep. It was once known as the “disease of kings” because people associated it with the “rich” diet of the wealthy. The truth is much more complicated, of course. Up to 4 percent of American adults have gout, and our rising rates of obesity certainly increase our risk. But don’t believe everything you hear when it comes to diet advice and gout. Diet matters — but not always in the way you think. 1. Should I avoid all “rich” foods? No. Patients often ask me about desserts, as well as entrees with rich sauces. It’s a common myth that these foods cause gout. When eaten in moderation, desserts and other rich foods do not affect gout flare-ups. But moderation is the key word. Rich foods may not cause flare-ups directly, but they can cause weight gain. And obesity is a major risk factor for gout attacks. 2. Is high fructose corn syrup a problem? Yes, absolutely. High-fructose corn syrup is a known factor for gout flare-ups because it raises uric acid levels in your body. It’s also used in far more pre-packaged and processed foods than you might think. When you’re grocery shopping, always check nutrition labels. If corn syrup is an ingredient in a product, don’t buy it. 3. Do acidic foods lead to high uric acid? No. Acidic foods such as tomatoes, citrus and other fruits, beans and dairy products do not necessarily lead to higher uric acid levels. People often assume they do simply because of the word “acid,” but acidic foods and uric acid are not one and the same. 4. Do I need to stop eating meat if I have gout? No, but practice moderation. Avoid organ meats such as liver because they have higher levels of purines, which can cause flare-ups. Moderate intake of lean meats such as chicken and turkey should not affect your condition. Seafood such as shrimp and lobster tends to be higher in purines, though, so don’t make it a regular part of your diet. 5. Can I still eat dairy? Yes. At some point, the misconception spread that people with gout should avoid dairy. 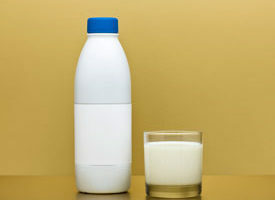 But, in fact, certain dairy products — especially milk — can help you remove uric acid from your body. In other words, dairy tends to help rather than hurt people with gout. 6. Must I stop drinking alcohol? Yes, it’s a good idea to cut out alcohol. Alcohol molecules in your body tend to increase uric acid levels, so drinking can push you over the edge and into a flare-up. If you are newly diagnosed and start taking medication, try cutting out alcohol at first. Your doctor may allow you to add a small amount back into your diet over time as your uric acid levels come down. But even then, it’s best to avoid beer and liquor and stick to safer choices such as red wine. All myths aside, the best advice for people with gout is to eat fresh, unprocessed foods. Choose complex carbohydrates (from fruits, for example) over refined carbs from packaged or processed foods. And always drink plenty of water because dehydration is a risk factor for an acute attack.